What Happens If I Crash During a Test Drive? Who is responsible for the damages caused by a test drive auto accident? Going for a test drive is a normal part of the car shopping process. However, have you ever wondered what would happen if you got into a collision during your test drive? Many drivers are surprised to learn that the dealership will actually hold them liable. Here’s what you need to know about responsibility after a test drive accident. Why is the driver held responsible? As previously mentioned, if you get into an accident during your test drive, then the dealership will hold you responsible. 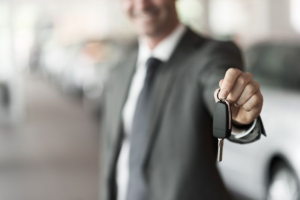 While you might argue that the dealership should accept responsibility because they own the car, you will still be held liable as you were granted temporary ownership during the test drive. Usually, this means that you will deal with the consequences of the accident through the dealership’s auto insurance. Does the dealership have insurance coverage? After an accident, the dealership may compel you to purchase the vehicle and deal with the damages yourself. However, you are not legally obligated to do so. If you refuse to buy the vehicle, then the dealership will access their insurance coverage to address the damage. As the responsible party, you will be required to pay a portion of the damages. The amount that you are responsible for is based on the deductible the dealership has on the vehicle. Can you use your own auto coverage? In some cases, the dealership will request that you file a claim with your own insurance to cover the damages. Before you attempt to do so, speak to your insurer. You need to make sure that your policy will actually offer coverage for vehicles that you do not own. This is what you need to know about getting into an accident during your test drive. Do you have additional questions regarding car accidents and your insurance coverage? If so, then don’t hesitate to contact the experts at VGW Walker Insurance in Texas. Our dedicated team is eager to assist you with all your auto insurance needs today. Tags: What Happens If I Crash During a Test Drive?